Walk down the current among boulders, jump into deep pools, slide down smooth rock slopes washed by water… This mini canyon is a wonderful escape into the wild. It’s so much fun for kids and so nice to share it with them as a family. Every single technical obstacle can be pypassed, thus all kids can go for it without any stress. The water flow being regulated by a dam is very constant. Price : 36€ / pers. Walk down the current among boulders, jump into deep pools, slide down smooth rock slopes washed by water… This mini canyon is a wonderful escape into the wild. It’s so much fun for kids and so nice to share it as a family. Take a wonderful ride throughout Mont Blanc massif . Enjoy a spectacular 360 °sight in a comfortable 9p raft. 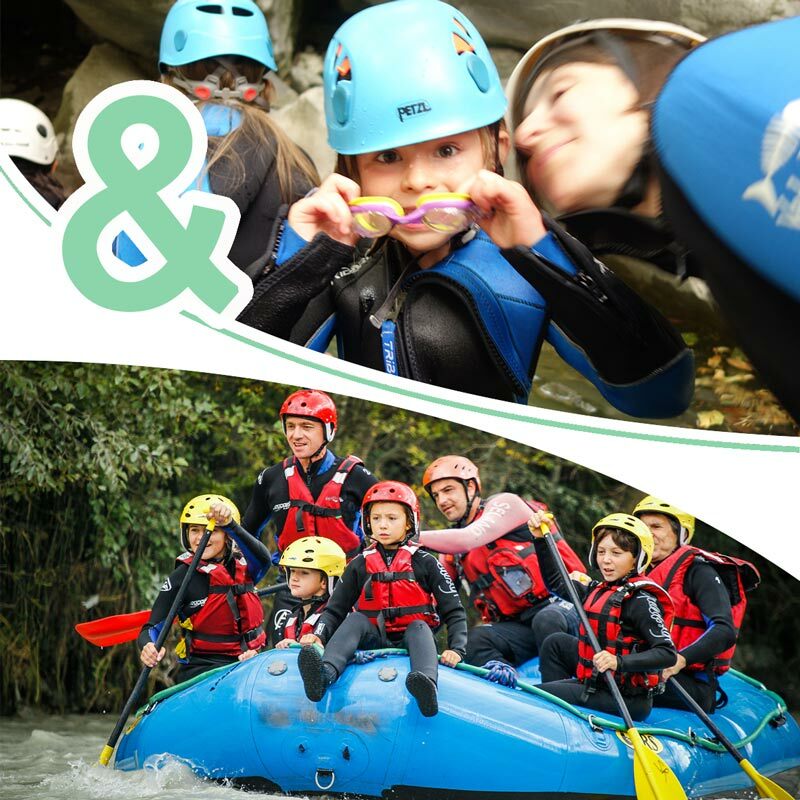 It is the ideal course for a first white water experience. Price : 67€ / PERS.